Oxford Business Group predicts that the global business process outsourcing (BPO) industry will be worth $250 billion by the year 2020. Business process outsourcing in the Philippines accounts for 10 to 15 percent of the global BPO market, where the local BPO sector has grown at a compound annual rate of 10 percent over the past decade. The Philippines has also consistently ranked among the top five outsourcing destinations in the world. Datamark named the Philippines the top offshore BPO destination in 2016 due to its fast and steady growth, while Tholons placed the country at the number three spot in its 2017 TSGI (Tholons Services Globalization Index) Top 20 Digital Nations list. The index evaluates, ranks and provides location strategies to countries, governments, agencies, multinational corporations and investors. For the first time, Tholons considered digital innovation and transformation as factors to determine competitiveness of cities and countries. The BPO sector in the Philippines is the largest private employer in the country, generating about 1.3 million direct jobs in 2017. This is expected to grow up to 1.7 million in 2018 and the coming years. Despite the BPO slowdown, the Philippines’ steady growth trajectory continues to attract many investors from abroad to establish or expand their operations here. The Philippines used to be a predominantly agricultural economy, but has slowly shifted focus to manufacturing and services. This has led to improvements in entrepreneurial opportunities and a wider scope of job roles. Foreign investors see the Philippines as an attractive offshore outsourcing destination primarily due to low labor costs, low cost of living and a talent pool of young, educated, customer-oriented and English-speaking workers. Outsourcing in the Philippines presents a lot of opportunities. Even as artificial intelligence threatens to replace lower-skilled jobs in the BPO sector, more medium to high-skilled jobs are expected to be created, as long as the workforce adapts and upgrades its skills. Government support has been strong for the BPO industry from the beginning, and today, the government and private sector are working together to sustain industry expansion with training programs and similar activities that leverage the benefits of AI and automation. The government’s Philippine Development Plan considers the BPO industry essential to the country’s ten high priority development areas. Government programs that aim to boost investment include tax holidays and exemptions and streamlined trade processes. The Philippines has surpassed India as the world’s call center capital. Call center firms continue to improve in terms of service quality (with a focus on the customer experience across channels), delivery, scope of work and technology. Companies from around the world are establishing BPO operations here for the first time or expanding existing businesses. New investment pledges from firms in Europe and Asia Pacific are also expected to further boost BPO growth. The voice segment will continue on its strong growth trajectory until 2020, according to economists. While the voice services segment continues to bring in the most revenue, the non-voice segment (healthcare, back office, software development, game development, animation and other knowledge-based services) is rapidly catching up. Increased demand for higher-level skills is expected to drive growth in the non-voice services segment. 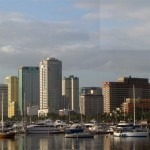 The Philippines is a great alternative to India for outsourcing services. However, every country has risks that entrepreneurs should understand. BPO growth slowed down to 9 percent in 2016, missing the 17 percent target growth rate due to peak scale leading to maturity of the industry, as well as risks related to the global and local political landscape, security, automation, AI and others. Skills upgrade programs are currently popular across BPO sectors amid the threat of automation, but industry analysts are urging employees to take responsibility for their own continuing education. Analysts predict that the BPO sector will accommodate new businesses wishing to invest or expand in knowledge process outsourcing (KPO) as demand for traditional voice services start to shift. These KPO firms are expected to create new roles in market research, fraud analytics, banking insurance, actuarial engineering, web development, data integration, research and development, legal processing, medical transcript preparation. The National Economic Development Authority (NEDA) reported that the BPO industry is still growing and not contracting in 2018, but the industry has reached a somewhat steady state. To keep growing, BPO firms must provide diversified and value added services by upgrading worker skills and embracing the shift to artificial intelligence. The main delivery models of business process outsourcing in the Philippines are captive centers and third party outsourcing. Third party outsourcing is the most common model, followed by captive centers and hybrid offshoring models. Today’s clients mainly prefer a hybrid approach to outsourcing, keeping some work in-house and spreading non-core work across multiple vendors to reduce risk. Third party outsourcing is the transfer of assets, intellectual property and/or personnel to an entity outside the organization. This is the most common delivery model associated with BPO in the Philippines. A classic offshoring relationship between the client and vendor is governed by service level agreements (SLAs) and obligations with accompanying monetary penalties for non-compliance. Most companies work with third party vendors to achieve short-term cost savings and access talent, although outsourcing has become more strategic in recent years. Non-core or transactional services are typically outsourced over judgment-based, higher-value activities. Vendors that offer knowledge services often have a proven track record of delivering transactional services. According to a study by the Everest Research Institute, which compared and evaluated operating costs, productivity, sales, marketing and margins of captive and third party outsourcing models, outsourcing to an offshore IT vendor is generally 5 to 15 percent more affordable than establishing a captive unit that is owned by the company. Third party offshoring is cheaper than a captive center due to economies of scale, labor arbitrage, and access to lean processes. However, established and high-performing captive units can match the benefits of third party outsourcing. In some cases, well-run captive units are even cheaper than offshoring. Value for money often drives a company’s decision to outsource. Third party outsourcing may be the best option for businesses that want to reduce geographic risk and attract non-core skills. Two popular third party outsourcing models are project-based and dedicated offshore center. Project-based outsourcing is suitable for companies looking for short-term cost savings on one-time or test projects of low to medium complexity. This approach is also ideal for projects with well-defined requirements. Companies may choose project-based outsourcing when demand is irregular or when they are unable to hire full-time employees to complete the project due to budget constraints. Project-based outsourcing allows companies to have a dedicated team working on the project without interrupting daily operations. Shor-term outsourcing projects may turn into longer-term contracts and even long-lasting vendor-client partnerships. Common pricing models for project-based outsourcing are Time and Materials (T&M) and Fixed Price. Under project-based outsourcing, BPO firms in the Philippines offer different types of contracts like staff leasing/augmentation, managed services, and function-based outsourcing. Managed services involve end-to-end oversight, management, and monitoring of certain business functions. This model is commonly used for IT, human resources, and production support. With staff leasing/augmentation, the vendor recruits candidates based on the client’s project requirements. The client is responsible for management, while the vendor is responsible for HR and support. Function-based outsourcing is similar to managed services, but the project scale is larger and there is no specific delivery date. Dedicated offshore centers were popularized in the Philippines by software development clients. The service provider establishes a team of local professionals working full-time for the client. Clients that want a cost-effective alternative to in-house production often use a dedicated center for long-term application/software development and IT-related projects. Besides cost savings, the client improves competitiveness through lower resource requirements in the offshore location. Dedicated offshore centers also allow clients to get started on projects right away by reducing recruitment time. An offshore shared services or captive center model is an in-house delivery model where the company owns information technology and business process facilities in locations other than the main office, usually in an emerging location. Captive centers are considered subsidiaries, allowing the company to leverage lower-cost offshore resources while maintaining complete control over processes. According to consultancy firm Everest Group, captive centers accounted for 25 percent of the $150 billion global services market in 2014. Establishing captive centers in an offshore location is generally more expensive than a partnership with a third-party service provider. The client owns and operates the offshore delivery center and is responsible for sourcing and managing talent, technology, infrastructure and processes. Captive centers have been around since the early 1980s. They started as offices that consolidated different global or regional in-house departments like human resources and finance under one roof. Due to cost benefits, captive centers became popular with businesses. Companies in developed areas began moving jobs and services to locations like India and the Philippines. American Express, Motorola and Citigroup are just some of the large companies that were successful with the captive model. Other businesses were not so fortunate, suffering reduced competitiveness and underperformance. This pushed companies to start working with offshore service providers as an alternative. Partnership with offshore vendors improved flexibility and cost savings, but the model was far from perfect. Today, captive centers have matured into a hybrid model that is a critical component of offshore service delivery. According to a CIO.com article, captive centers continue to thrive under new operating models, with IT support and development accounting for 30 percent of services. New captive center models include hybrid, ex-pat, augmentation, captive+1 and non-core. These models could represent from 15 to 20 percent of all work sent to offshore providers. In the Philippines, 80 companies operated through 97 captive units and employed 60,000 workers in 2010 (BPAP and Hewitt: State of Captives in the Philippines, 2010). The majority (80 percent) of the captive units was based in Metro Manila. Most captives in the Philippines provide voice, back-office and IT-related services, with a growing number of units (20 percent) providing non-voice and higher-value knowledge process outsourcing (KPO) services. About half of captive units providing voice services are completely or partially owned by a U.S. company. Most captives that provide KPO services provide finance and business research, legal, patent research and animation services, while the rest (31 percent) provides IT and engineering services. According to the BPAP report, more captives are focusing on non-voice services as a logical progression from the delivery of transactional services. However, captives find it difficult to scale up the IT service delivery due to lack of engineering talent. A growing number of captive centers are adopting the hybrid operational model, where some process are kept in the center while transactional services are outsourced to third party vendors. A CIO.com article reported that the most successful adopters of the hybrid model are captives that already have strong partnerships with third party vendors. Companies usually choose to establish captive centers in the Philippines to maintain full control of finances and operations. Captives also facilitate cultural alignment between departments or offices, improve quality control, and ensure transfer of critical skills and knowledge to the parent company. Some of the earliest captives in the country reported that domain knowledge was the top reason for establishing a unit in the country. Back when the BPO industry was new, it was difficult and expensive for these firms to access expertise in niche areas and transfer skills and capabilities to the satellite office. Cost savings remain the top reason for sending work offshore, although other strategic factors like talent sourcing and ability to focus on core functions are also mentioned by organizations with experience in outsourcing. 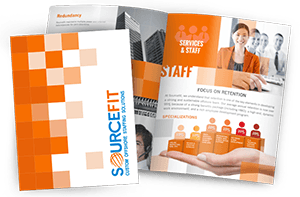 How did these companies implement their outsourcing project to achieve these goals? Here are some of the best examples of successful outsourcing projects. For Unilever, offshoring was the solution to a specific issue. Global operations have led to different units using multiple ERP systems, so the firm made the decision in 2005 to integrate these units into one ERP system. IT services not being its core business, Unilever outsourced the development of the ERP system to a third party. The result was €700 million in annual savings on operational activities. Networking giant CISCO is another good example of offshoring done right. The company invested over $150 million to expand its technology development business in India and establish another research and development facility in the country. The R&D center was responsible for developing new technologies, providing technical support (phone and email) to customers and deploying products and solutions very quickly. Offshoring enabled the company to raise customer satisfaction and achieve profitable growth. Some recent startups that went on to become established companies credit offshoring for their success. Mountain View, CA-based WhatsApp only had 35 employees in 2012, but it has since become one of the world’s most popular chat apps, with 50 million downloads in just three years after launch. As a startup with meager seed capital, WhatsApp decided to outsource development. Most of the in-house employees performed customer support and operations, while the IT engineers were offshore (some were later relocated to the U.S.). Klout, a website and mobile app using analytics to rank users based on influence, used offshore development to bring its vision to life. Klout founder Joe Fernandez actually went to Singapore and stayed there for a few months to build a custom development team and work closely with his offshore staff to build a beta version of the product. In 2014, Klout was sold to Lithium Technologies for $200 million. Many pharmaceutical companies jumped on the offshoring wagon in the early 2000s to leverage the world’s best talent. Roche, the Swiss-based drug firm, opened a research center in Shanghai and hired Chinese scientists returning from abroad. The Roche global research chief believed that U.S. academia had been run by Chinese post-docs for many years anyway. China and India at that time were starting to invest heavily in biotechnology, while Singapore attracted top scientists for research centers. Indian and Chinese scientists who studied and worked in the U.S. and Europe returned to their native countries to establish their own companies, which served all of the big American pharmaceutical firms. Procter and Gamble (P&G) is another company that continues to use offshoring to its advantage. By outsourcing some R&D activities, P&G increased its innovation productivity by 60 percent and generated more than $10 billion in revenues from over 400 new products. Today, about 50 percent of P&G’s innovation is due to collaboration with external providers. American Express (Amex) was another offshore pioneer. Back in 1994, Amex set up a financial service center in India for its back office operations. The firm also worked with service providers in the Philippines and India for customer support, application development, maintenance, technical support and phone support services. In 2002, American Express teamed up with IBM to manage the Amex website, manage its computer network, maintain the database, process credit card transactions, and provide IT support to company employees. Around 2000 Amex IT professionals were transferred to IBM in the process. Amex retained product development, customer relationships and new services in-house. Besides traditional offshoring centers like India and the Philippines, nearshore locations like Canada and Mexico have been ideal for establishing subsidiaries and manufacturing hubs for U.S. companies. IBM’s Canadian subsidiary had a 10-year contract with the National Bank of Canada, with IBM Canada handling information structure maintenance, including call centers and websites. Financial services giant Citigroup has been offshoring IT services since 1992, with most of its IT operations conducted abroad. Citi has established multiple locations in the Philippines, India and Poland over the years. Citi’s offshore development centers have longstanding partnerships with established service providers. Other banking corporations that offshore part of their IT operations are JP Morgan, Goldman Sachs, Barclays, and Bank of America. In the age of automation, there are still many activities that organizations are unwilling or unable to do in-house because of cost or strategic reasons. Automation is also giving rise to new tasks that are ideal for outsourcing: automation strategy planning, consulting, and developing and managing bots. As technology and associated issues increase in complexity, the right offshore strategy is all about driving true transformation and helping organizations meet challenges. Firms that have built business models over the last two decades still need a global workforce to transform IT services from a back office service to an innovation and growth platform. However, the market today requires new partnerships and ways of operating, whichever latest method best suits business needs. Strategic offshoring when done right creates relationships that enable enterprises to anticipate, prepare, and adapt to an uncertain and constantly evolving market. Learn more about outsourcing in the Philippines, outsourced staff leasing and the Philippines as an outsourcing destination.